The Common Activity of this year,first Global Interface for the Bridge Club Maldives was held on 24th November 2012, at 3:00 pm Maldivian time (5:00 pm Indonesian time). The conference was held between Bridge Club Maldives and Bridge Club Indonesia about the topic "Clothing". 8 JAs from Maldives and 6 JAs from Indonesia took part in the conference. 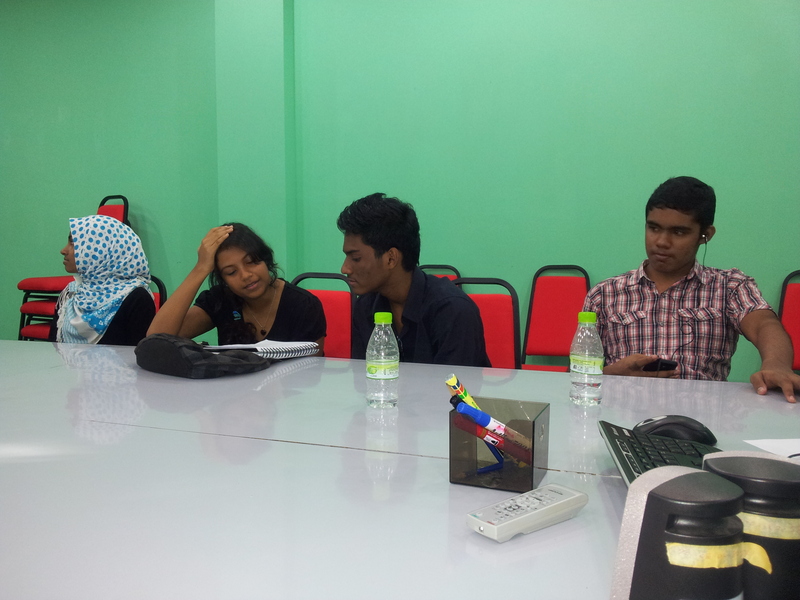 First, the Maldivian participants introduced themselves to the Indonesian participants. After that, the Indonesian participants introduced themselves to the Maldivian participants. The Maldivian participants were the first to explain about their clothes. They explained about two types of school uniform, a school band uniform, traditional male clothes, traditional female clothes, clothes worn by men and women for formal occasions and also about the evolution of headscarves/veils in the Maldives. After the Maldivian participlants were done, the Indonesian participants explained about their clothes too. They explained about their high school uniform, two variations of a traditional and casual cloth called "batik" and casual wear for men and women. After that, the Indonesian participants showed pictures of various traditional clothes, which were very different, due to the presence of over 300 ethnic groups in Indonesia. After the explanations, there was a brief question and answer session, followed by the end of the conference. The Bridge Club Maldives was very pleased with how the conference ran, though there were some technical difficulties before and during the conference. However, overall, it was satisfactory and fruitful. 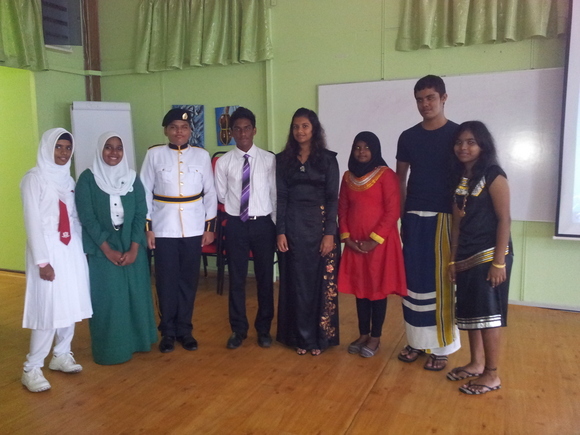 The Bridge Club Maldives held 5 rehearsals in October and November to prepare for the conference. We hope that the remaining conferences will go better, or at least as well as this one did.